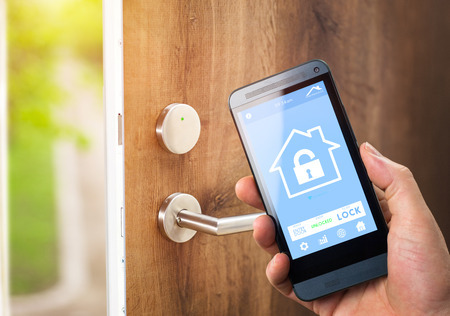 One of the benefits of modern society is the availability of home automation, such that you can turn off lights, lock doors, and watch your property via your smartphone screen. That said, home automation systems, like anything else, need to be protected so they don’t get hacked and exploited by people up to no good. What are some things you can do to keep your home automation safe? First, pay attention to your router. Most people never change their password for their router and/or make it too simple of a password. That makes them vulnerable. Ideally, your router password should be something difficult for anyone else to figure out, so use special characters (#, @, *) and numbers in it. Avoid using birthdays, street addresses, and anything common like “password123.” Also, a router that’s equipped with WPA2 (WiFi Protected Access) authentication is a very good thing. Also, with regards to your surveillance camera, it’s a good idea to keep track of the IP addresses who’ve accessed the feed– they should all be a part of your known network. If not, you might have hackers spying on you and your stuff. If you think you’re being “watched” by someone you don’t want watching you, then change your password and alert your security provider so they know to be suspicious, too. Another smart thing to do when trying to keep your home automation system safe is this: change passwords often. That means change passwords not just for your router, as mentioned before, but also for your home automation apps as well as your cell phone every couple weeks to be on the safe side. Speaking of change, it’s a good idea to change the default port on your IP camera. Finally, purchase your home automation products from reputable, well-known brands. Otherwise, you might be dealing with a “cheap” company that doesn’t invest time, money and resources into providing you with the best security measures. For more info and advice on home automation, please call NYCONN at 800-783-5004.